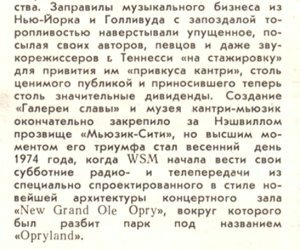 * Пол Маккартни у входа в легендарный концертный зал в Нэшвилле - "WSM Grand Ole Opry". * Пол посетил одну из автомобильных свалок в штате Теннесси. 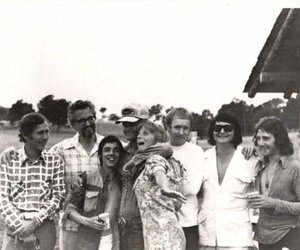 * Original Promotional Press B&W Photo of Wings, Roy Orbison, Chet Atkins, Boudleaux Bryant, & Jerry Reed at Curly Putmans Farm, near Nashville in June 1974 at Paul McCartneys 32nd birthday party. 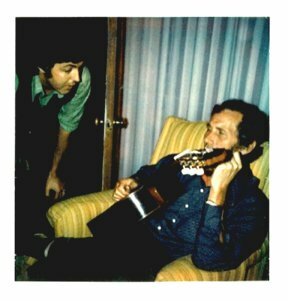 * Paul McCartney & Chet Atkins. * Dolly Parton & Porter Wagoner. 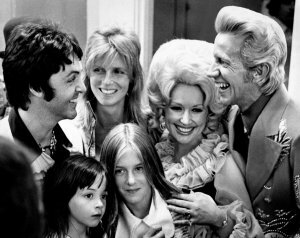 * Former Beatle Paul McCartney, left, and his family chat with Dolly Parton, second from right, and Porter Wagoner backstage during the third annual Grand Masters Fiddling contest at Opryland June 16, 1974. McCartney's wife, Linda, and daughters Heather, 11, and Mary, 4, also enjoyed the music at the event. 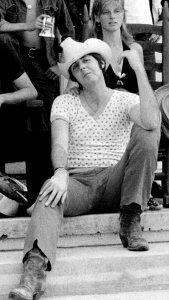 * Arriving in Nashville quietly at night June 6, 1974 for a month of rehearsing and relaxing, former Beatle Paul McCartney, his 3-year-old daughter, Stella, and wife Linda, contemplate the small crowd of reporters and fans, which greeted them at Metro Airport. 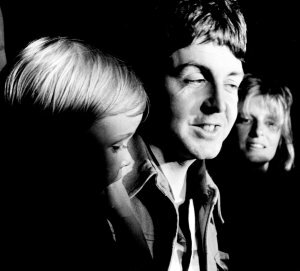 Paul McCartney touched down at Metropolitan airport with his family on the evening of June 6, 1974, emerging from the plane wearing a green battle jacket and flashing a peace sign. 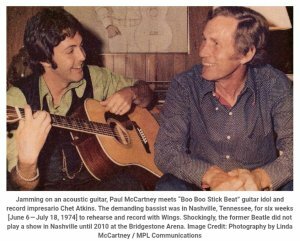 The Tennessean reported that Paul answered questions "briefly but willingly" and even humored a group of kids who were amused by his British accent (he said the word "elevator" at their request). 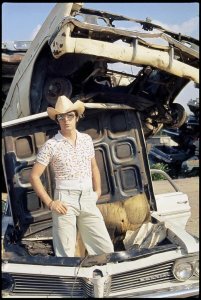 The music superstar told a crowd of about 50 fans and members of the press that he'd come to Nashville for his three Rs — rehearsing, relating and riding. 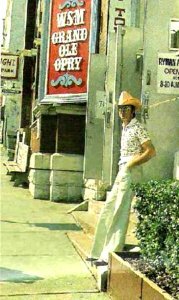 Music producer and executive Buddy Killen, who would act as the McCartneys' Music City guide during their six-week stay here that summer, greeted the family upon their arrival. The McCartneys rented a 133-acre farm just outside of Lebanon from songwriter Curly Putman ("Green, Green Grass of Home") for $2,000 a week. 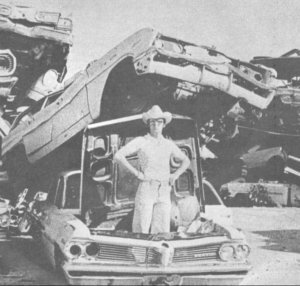 They had requested a farm within 50 miles of Nashville that had horses and swimming facilities. 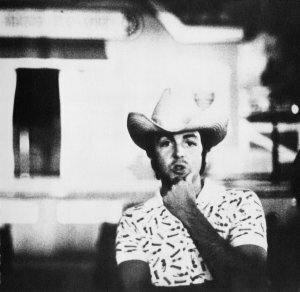 "I've got a farm in Scotland," McCartney told reporters during an informal press conference on the farm. "You're not the only people who have farms, you know. Back in Scotland, we're country people in our own way." 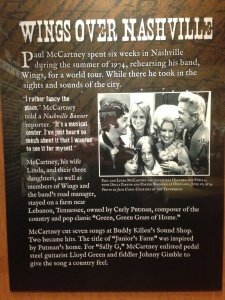 McCartney told Nashville reporters that he was raised on country music, and he tried his hand at a bit of country songwriting while he was in town: He wrote the song "Sally G." after a trip to Printer's Alley. McCartney drove around on a newly purchased motorcycle during the family's Nashville visit. When a group of reporters waited at the Putman farm gate for a "highly informal" press conference, Paul and Linda rode past, smiling and waving. Linda told The Tennessean she was "not much into materialism anymore," though she had made a recent trip to Rivergate to purchase gifts for her family. Another big machine Paul loved -- the Mellotron synthesizer -- was not readily available in Tennessee at the time, to his chagrin. 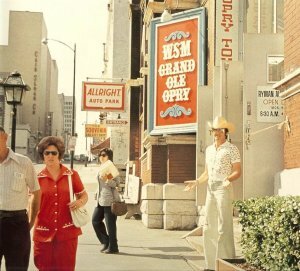 "We just couldn't skip Nashville," he said. "We have too many friends here." 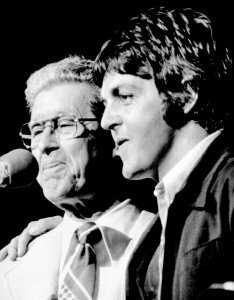 * Roy Acuff, left, the King of Country Music, introduces Paul McCartney, the former Beatle, to a packed Grand Ole Opry House June 28, 1974. 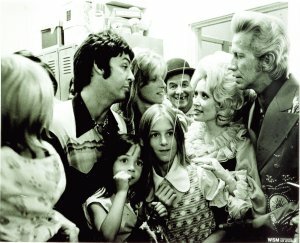 McCartney didn't perform, but preferred to wander around backstage with Chet Atkins and various Opry stars. 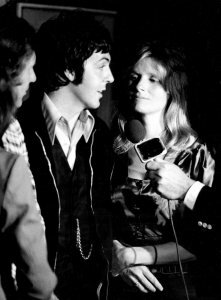 * Paul McCartney, left, and his wife Linda gets interview as they made a surprise visit to the Grand Ole Opry's night performance June 28, 1974. 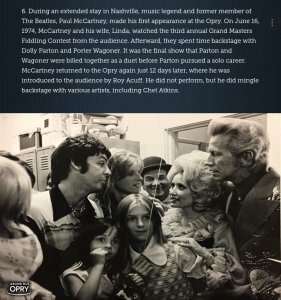 McCartney, who is staying in the Nashville area while rehearsing for an upcoming tour with Wings, was the guest of honor at a cocktail party at Opryland's VIP lounge, just before the show.